Oftentimes when newborns are delivered into this world, they're showered with a ton of welcoming baby gifts while they're in the hospital. So here's a great way to show that same sort of loving appreciation for new moms too. It's pretty obvious that whoever assembled all the items found inside this lovely gift box collection, has some "been there, done that" insights into exactly the kind of things that would make a new mom feel pampered and comfortable during her hospital stay. This cleverly designed Hatch-to-Hospital gift box is the perfect way to provide luxurious comfort for new moms during their hospital stay and after delivering their newborn. It includes a pair of cozy warm socks and some lace trimmed briefs that will provide you full coverage without sacrificing style. 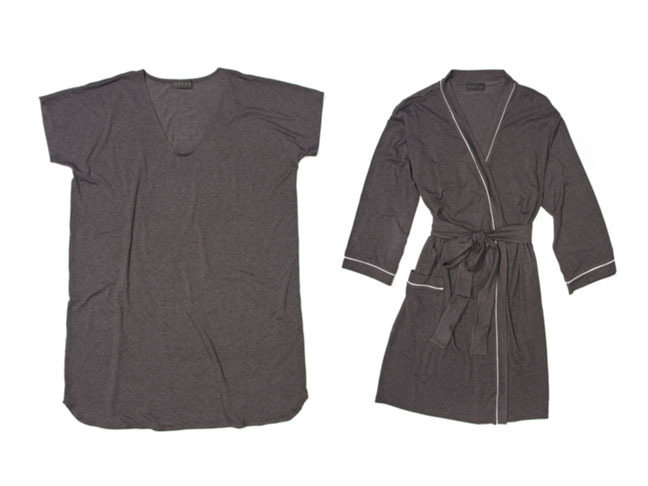 This cozy robe and ultra soft tee shaped nightgown are available in a couple of different sizing options that make it easy to fit several different sizes. So you can plan ahead for your own hospital stay by purchasing this gift box as a special treat for yourself, or you can make it an awesome gift for a loved one, who you know would appreciate all of it's comforting luxuries. Whichever you choose to do, the world is likely to feel like a more comforting place for the lucky recipient of this fantastic gift box collection.